Yard Sale Decorating: Welcome to Our Living Room! Decorating with yard sale items is actually fun! We bought a house last year in this (expensive suburban) area (those of you who live here will totally “get” the expensive part). It was a great deal— FOUR bedrooms, one and a half bathrooms, a basement (FINALLY, no more toys everywhere! ), and a family room where we could put a pellet stove to save on heat. However, it was very ugly inside. 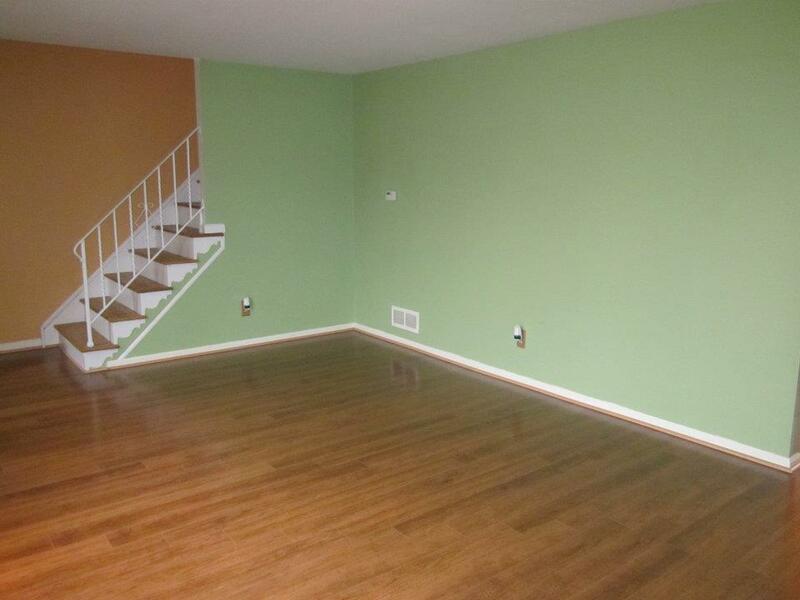 For some reason, the previous owners painted the interior with some odd colors. 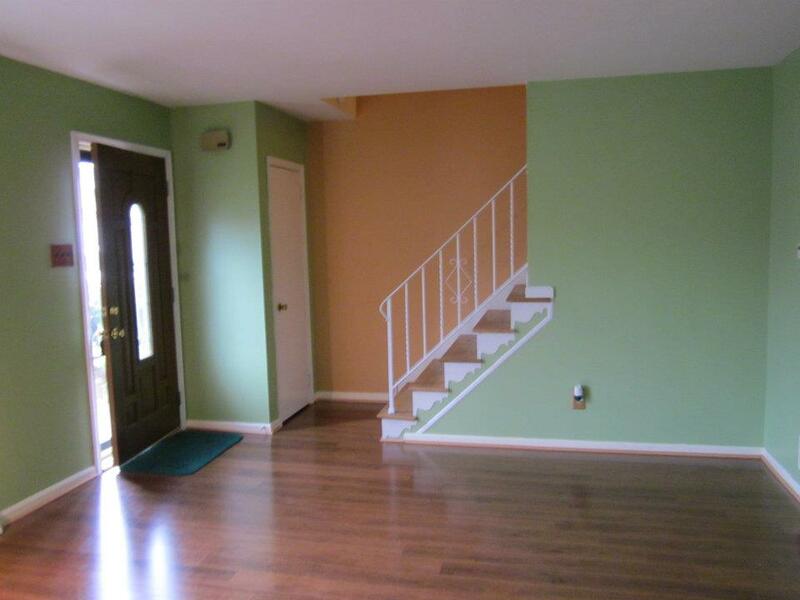 Our first step was to repaint most of the house. For those of you who are bargain-minded, I found much of the paint at Lowes (“oops” paint that was returned) for $5 a gallon! Of course, that wasn’t enough to cover the whole interior, so we did end up buying additional paint to finish. So, after painting the living room, we decorated and furnished it MOSTLY with all YARD SALE items. Some items were from Freecycle and Craigslist. Let me take you on a tour, and tell you what I paid for my yard sale decorations and furnishings in our living room. 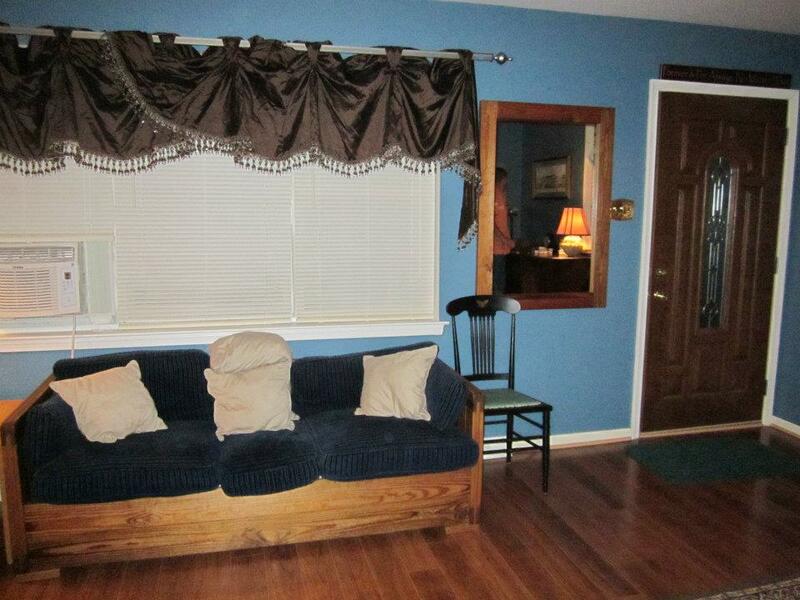 Below is our “new” sofa. This is part of a 2 piece set. We got this on Freecycle. It is a “This End Up” sturdy wooden sofa (retail $620). We paid NOTHING for the sofa and loveseat set. The cushions were ratty, so we bought new cushions on Craigslist for $40. 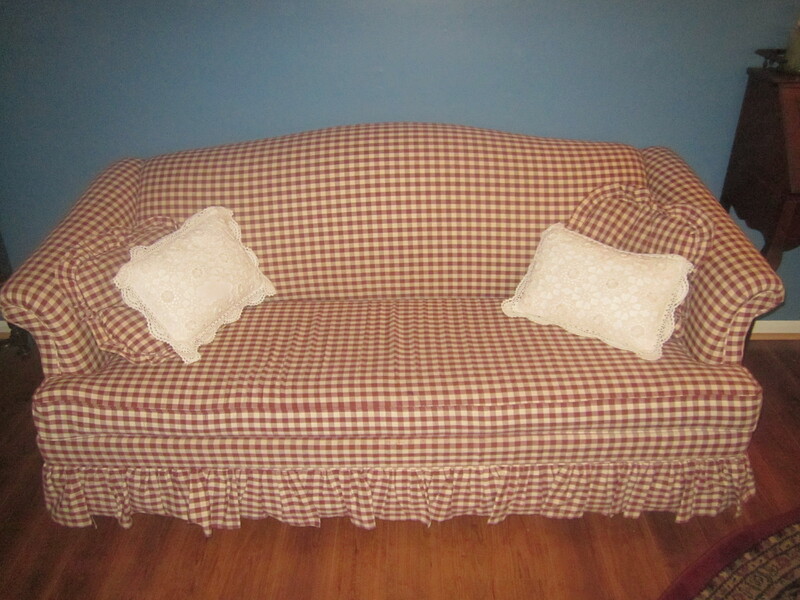 Total spent on sofa/loveseat–$40. Throw pillows were free. CURTAINS on window were $5 from a yard sale–still in the package. They were BRAND NEW, and the retail price on the package was $150. Mirrow on the wall in picture above and below was $5.00. It is nice and solid and of beautiful quality. Chair in picture above was $1.00 from a yard sale (but we have since moved it upstairs–we bring it downstairs for extra seating when company comes). Magazine rack/end table in picture below was $5.00 at a yard sale. 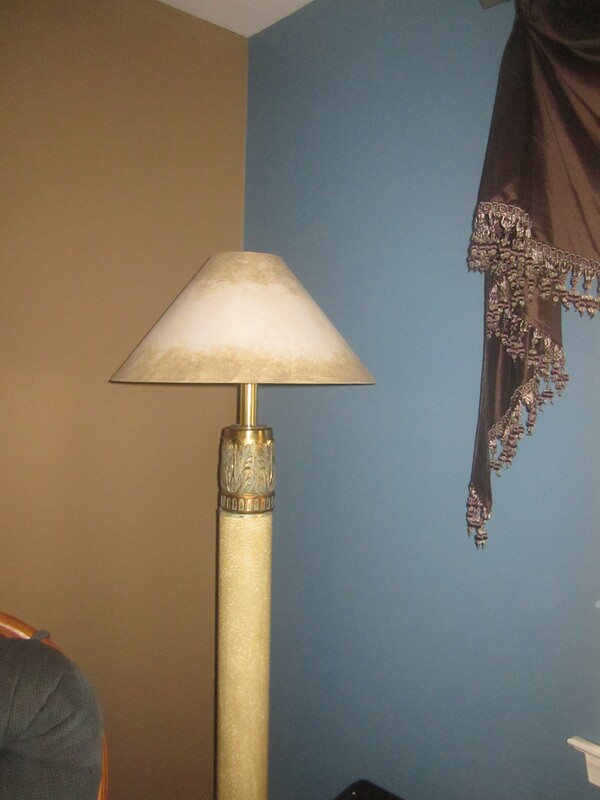 In the corner of our living room, we have a beautiful floor lamp, that came with 2 brand new shades. This lamp was $11 at a yard sale. I looked it up online, and it is a $200 floor lamp when bought brand new! 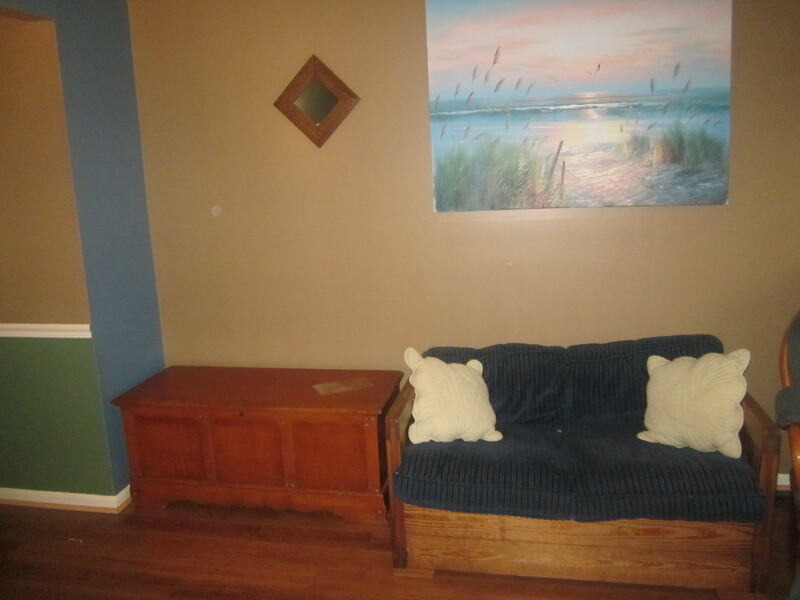 This sofa on the opposite wall coordinates nicely, and was FREE from Craigslist (it is a sleeper sofa, that pulls out to a double bed!). I bought the white crocheted throw pillows for $3 (total) at a yard sale. This artwork on one of the walls was $2.00 at a yard sale. My husband found this, and we both loved it. 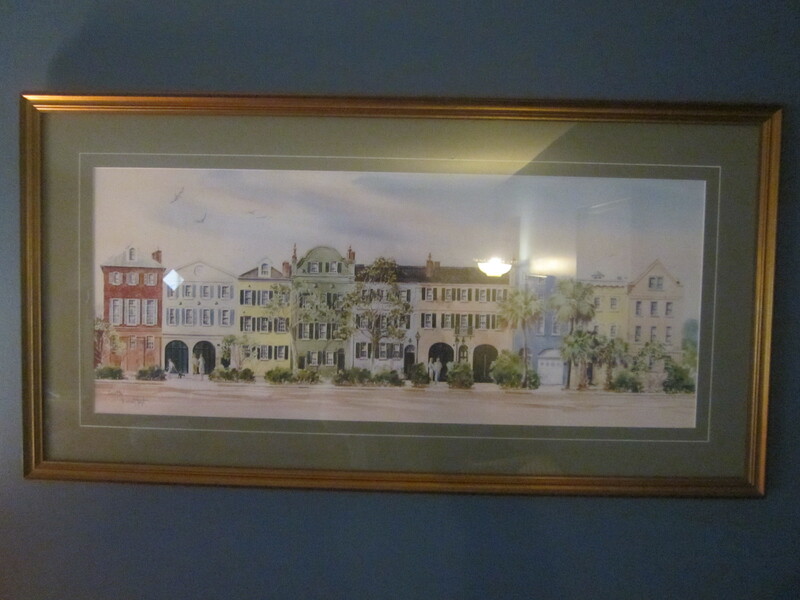 It is a beautifully framed picture of Savannah, Georgia. On the far wall, sits our matching This End Up loveseat from Freecycle. The pillows were $.50 total at a yard sale! We have had the beach painting since we first got married, but the mirrors on either side were $1.50 each from a yard sale. 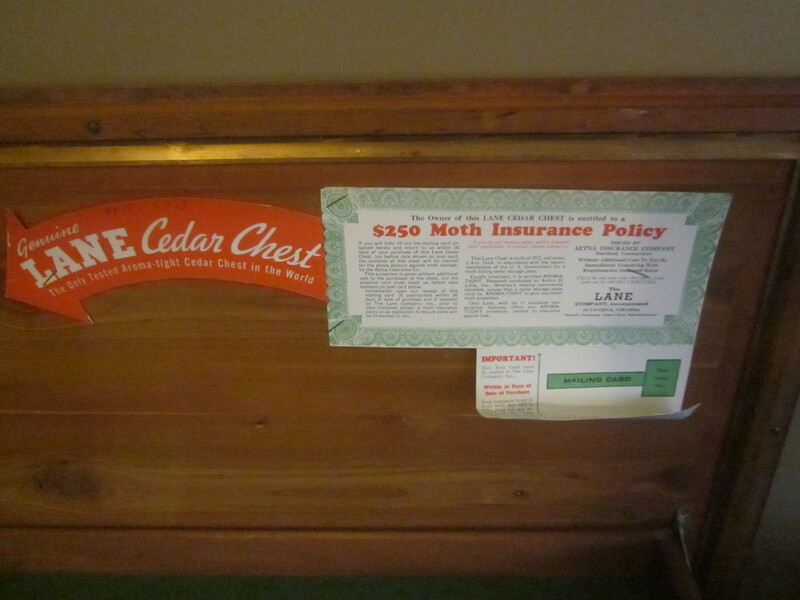 Beside the love seat sits an authentic LANE Cedar Chest from 1949 with the original paperwork still inside–yard sale price $10! Finally, we have our coat rack in the corner. 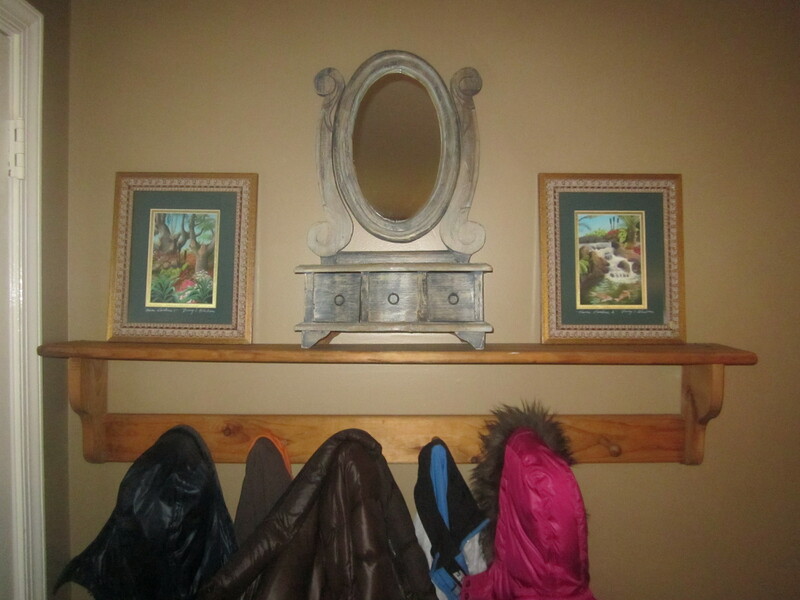 Although we do have a coat closet, the coat rack is easy for the children (and us) to access for everyday use. We paid $5 for the coat rack, $3 for the little decoration with the mirror, and $5 (total) for the authentic framed Hawaiian prints on either side–all from yard sales! Thank you for visiting our living room–almost entirely decorated with yard sale items! I hope to share the other rooms in our house with you, and my other great yard/garage sale finds; as well as tips on how YOU can find such great bargains. 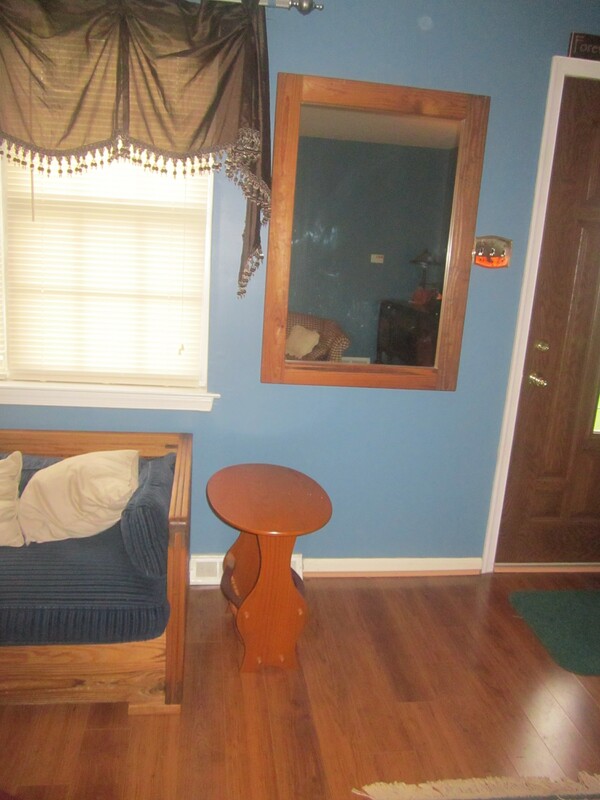 Do you have rooms you decorated with yard sale items? Feel free to leave a comment below to share.